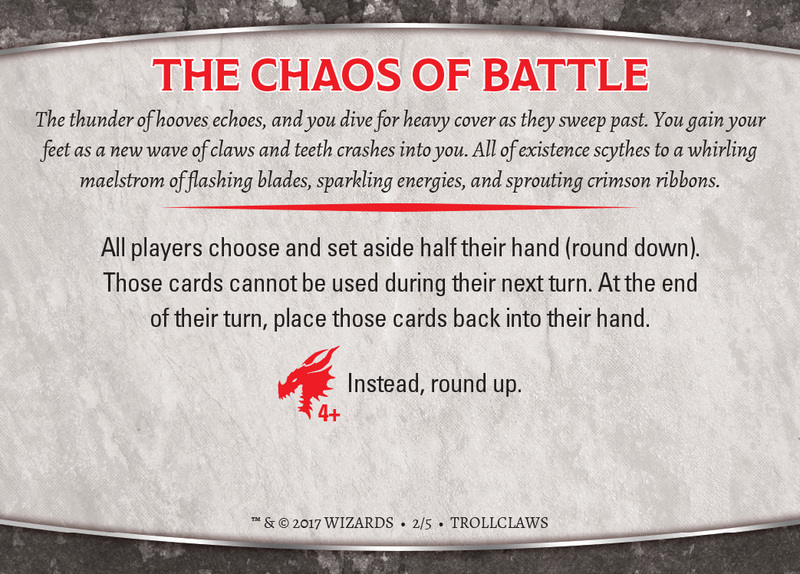 Welcome to Chaos in the Trollclaws! 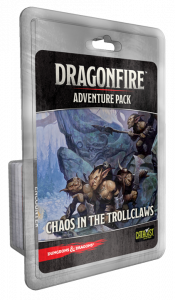 It’s hard to believe we’re already here, but it’s fantastic to have the second Adventure Pack, Chaos in the Trollclaws, already on store shelves! As with Shadows Over Dragonspear Castle, if your store jumped on the Launch Kit you may have knocked out Trollclaws already. But for the rest just seeing it now, thought I’d give a full run-down on this great new Adventure. Encounters: Orcs, gnolls, and goblins are clashing in The Trollclaws, and the encounters provide great groupings of these exciting encounters: Orc Claw of Luthic to Orc Tanarukk; Gnoll Flind to Gnoll Flesh Gnawer Pack; Hobgoblin Devastator Legion to Hobgoblin Iron Shadow. 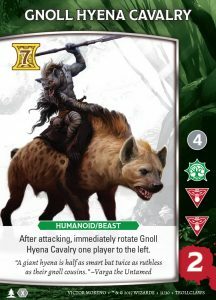 We also introduce multiple cavalry encounters that are a Humanoid/Beast Type combo with a new mobile mechanic that makes them extra dangerous. Trust me, the Gnoll Hyena Cavalry are particularly brutal. 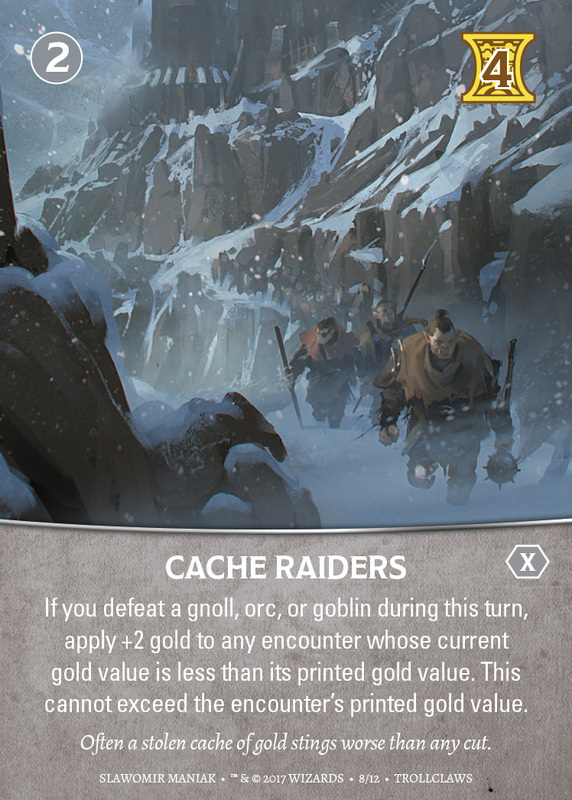 Market Cards: Every Adventure Pack will have a card unique to that Adventure, in this instance Cache Raiders. 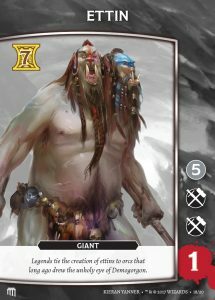 We also introduce an additional new card, Colossus Slayer, to be used when a Ranger is in the party. As with Dragonspear, additionally Glorys (with alternate art), are provided….because you’re going to need them. 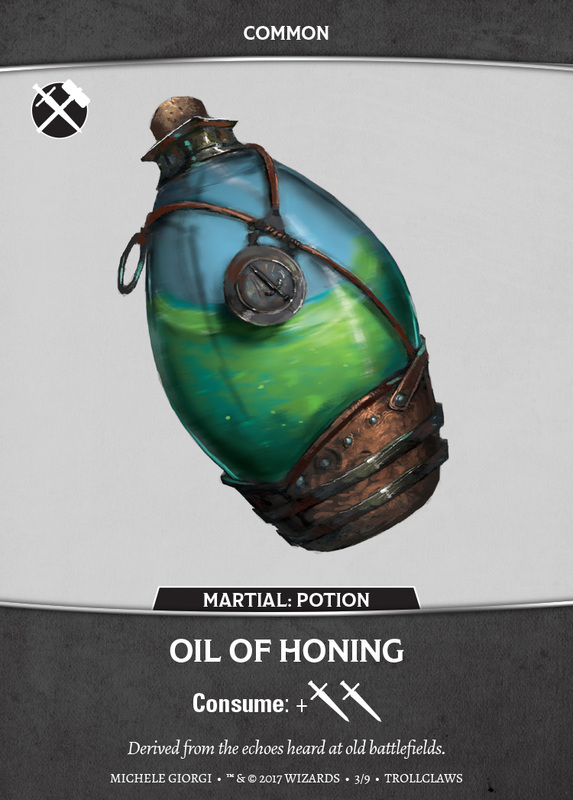 Magic Items: A few repeats continue building up a robust catalog of Magic Items, while introducing a few new ones, such as the Oil of Prescience and Oil of Honing; those two Swords on Oil of Honing come in so handy in a clinch! 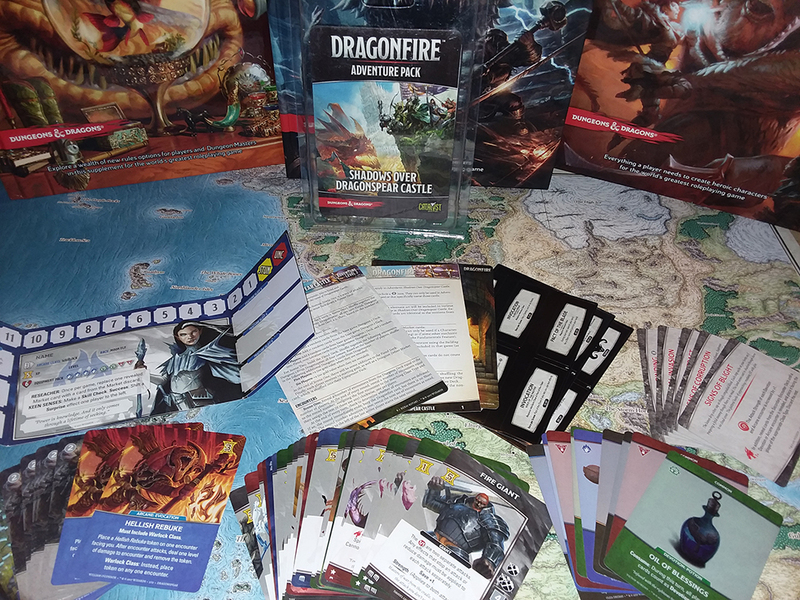 Dragonfire Cards: As I’ve previously stated, Dragonfire cards bring the pain…and the fun! What’s more, they are ridiculously fun to build and playtest. Not only can they raise fun challenges, but their name and fiction work hand-in-hand with a new mechanic to accentuate the story we’re telling. 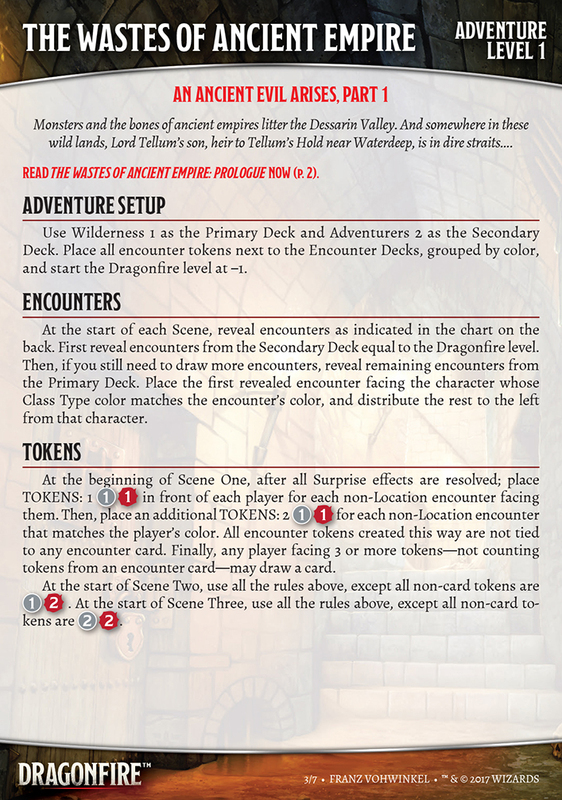 And no, I’m not going to share the Dragonfire Milestone card for this Adventure Pack. Character Screens: The two new Character screens for Trollclaws are a Half-Elf Ranger and a Half-Orc Ranger. Stickers: Three sheets of stickers provide additional copies of the most important Features for your Ranger. 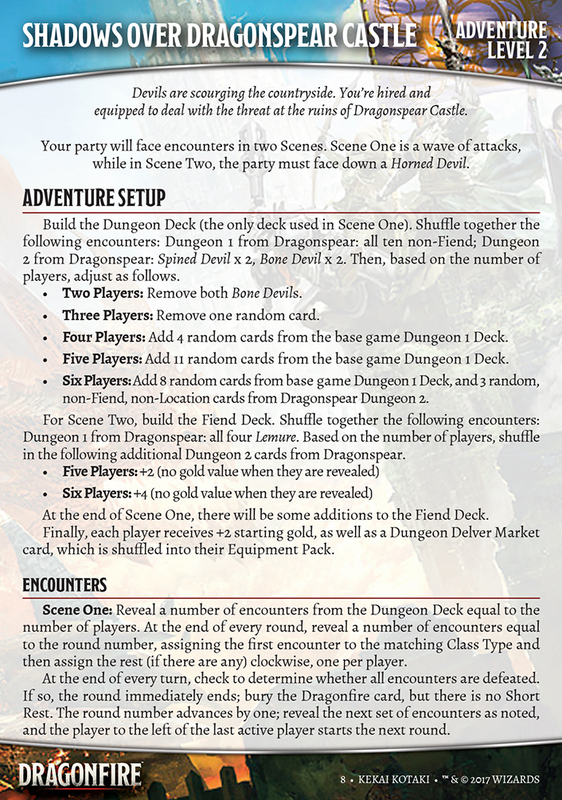 Adventure and Rulesheet: Each Adventure Pack includes a brand-new Adventure to take full advantage of the Pack’s contents, while the Rulesheet provides additional clarifications and new fiction. If you can’t tell by now, I’ve played—and continue to play—a lot of games. And a lot of different types of games (though Dragonfire has stunted that some this last year, with its disproportionately high playtesting quota needs). So while it may sound hyperbolic, even with that breadth of perspective, I believe there is a powerfully unique element to Dragonfire (and its progenitor, Shadowrun: Crossfire). More effectively than any other game I’ve ever played, Dragonfire tries to convince you that you’ve lost and that you should give up. And yet easily 3 out of 5 times, if the players would just push on, despite the insane odds and Exhausted tokens and Stunned characters, and the overwhelming feeling that the monsters are about to generate a Total Party Kill—victory can be pulled from the jaws of defeat! We’ve had some pretty epic Hail Marys in the past. One of my favorites involved Talon’s Wizard that previously had to purchase Spirit Guardians to help save the second Scene. And at the end of the third Scene he’s Stunned, then top-decks that Spirit Guardians and proceeds to make a successful Devotion Check—with the only Devotion card in his entire deck—to get just enough damage to save our party’s butts. 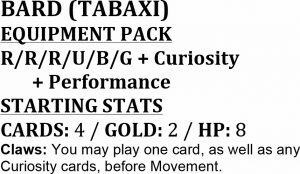 However, last week we were playtesting the Calimshan Adventure Pack and had, without a doubt, the most ridiculously awesome Hail Mary I’ve seen in eight months of heavy playtesting. It’s the third and final Scene. 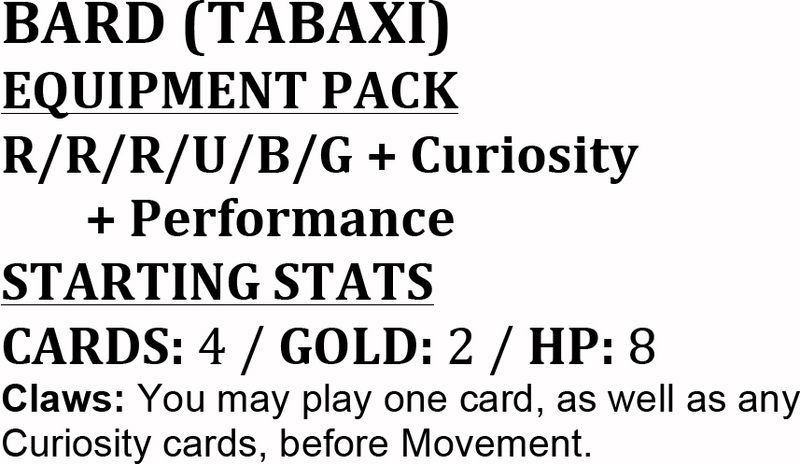 In positions one, two, three, and four around the table we have a Forest Gnome Fighter [Heroes of the Sword Coast], a Tabaxi Bard [new Character screen for this Adventure Pack (see play testing stats below)], a Forest Gnome Druid [Heroes of the Sword Coast (I know, I know…two of them!)] and finally a Tiefling Warlock [Heroes of the Sword Coast]. The Hit Points around the table are: 2, 1, 4, 3. 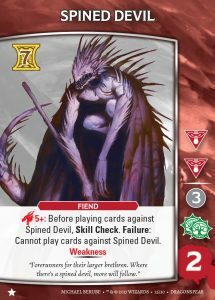 Hellish Rebuke [Warlock card from Adventure Pack: Shadows Over Dragonspear Castle] has been played the previous round, and so there’s a token sitting on the only encounter left…the Mummy Lord. Now I’m not gonna show the whole card off, especially its nasty text abilities…you’re just gonna have to wait for the Adventure Pack for that. But here’s the damage track from our playtest card (the red outline on that 10 of the final row means immune to level damage). This card, hands down, is the sickest encounter we’ll have published to date. Even more dangerous than the Adult Green Dragon! And it had only the last two levels. We got this! Except we move into the Dragonfire phase and we’re sitting at nine Dragonfire level! 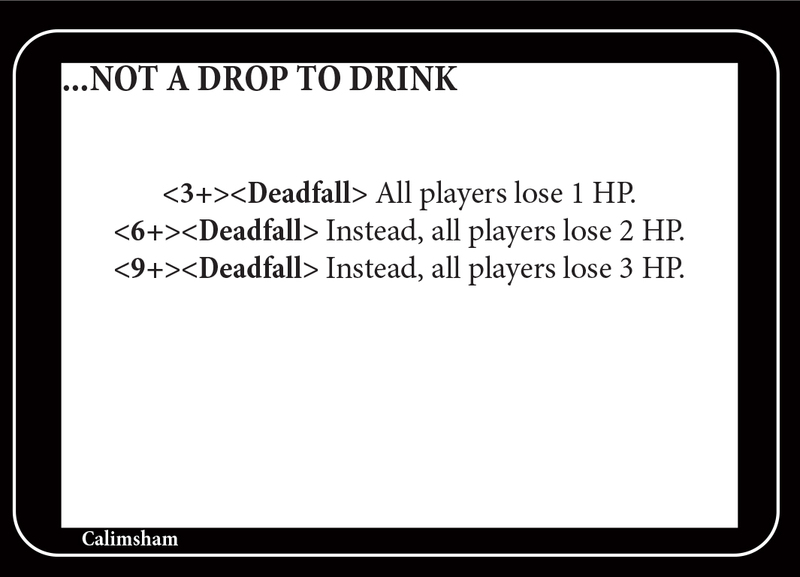 And …Not A Drop To Drink, a new Dragonfire card from this expansion (see the playtest copy at left), shows up!!! Now it’s a tough card, no doubt. But usually the combination of the high Dragonfire level needed for such a huge hit, combined with the Deadfall mechanic, allows’ us to usually miss the effect. 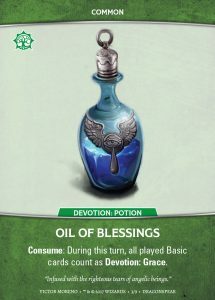 In fact, in the half-dozen games we’d played with this card, I’d never seen its full impact yet. But we just blew through a huge swath of cards to get rid of the Gynosphinx the previous round—another brutal Difficulty Three card in this set—so we can’t possible clear that level 10 on the Mummy Lord that’s immune to level damage. 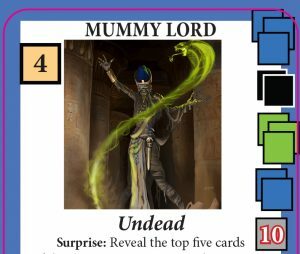 On player three’s turn (Rob), the Mummy Lord attacked, dropping that character’s 4 HP to 2, but the Hellish Rebuke token then went off, eliminating the second to last level. Then the fourth player (Ben) went, and of course the …Not A Drop To Drink went into the discard, and we all were Stunned! The din to quit became a cacophony! But I mentioned I’m dogged, right? I said we should keep going (and Jay backed me up). The next Dragonfire card was inconsequential, luckily, and we continue. On Jay’s turn, he draws a Master’s Longsword +1 Magic Item, which deals 2 points of damage. On my turn, I draw a Stealth. On Rob’s turn, he draws a card that won’t do enough damage—of course—and then the Mummy Lord attacks. Since he’s already got an Exhausted token, when he goes Stunned, he’s instantly Unconscious and out of the Scene, and the Mummy Lord immediately moves to the fourth player. Rinse, repeat, Ben’s out, and the encounter rotates to Jay as the party leader. All is lost, right? We should just give up. The Mummy Lord is gonna take down Jay and then ruthlessly put me down, right? 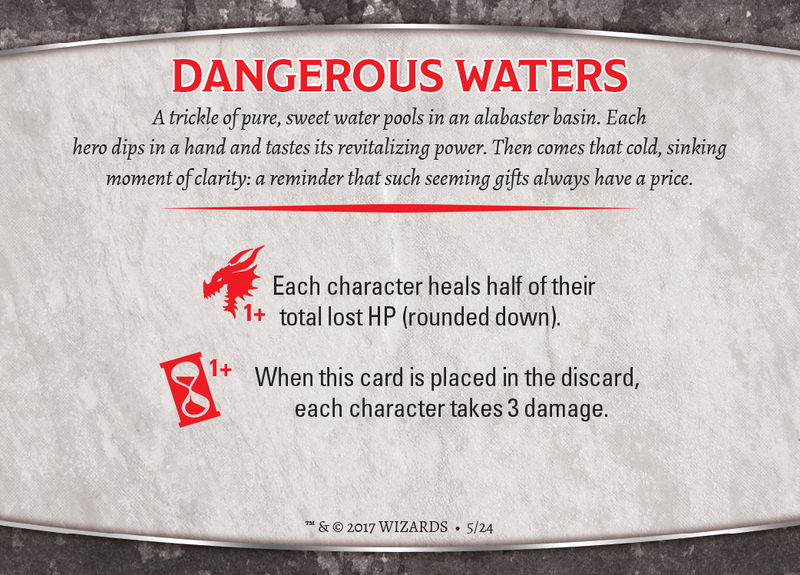 But before that happens, we move to the Dragonfire phase…and up comes Dangerous Waters!!!! 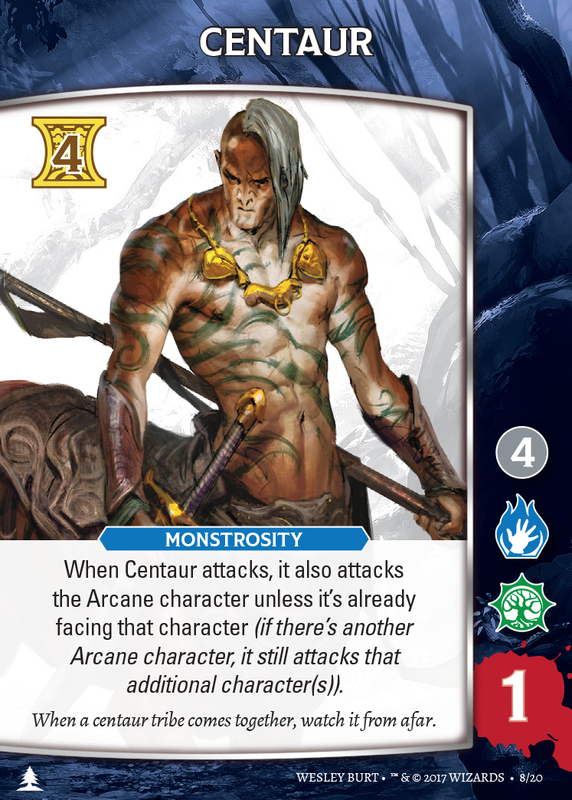 Jay heals half his starting HP and immediately draws two cards after healing from Stunned: a Greatsword +1 Magic Item, which normally deals 2 damage, but for a Martial Class character deals 3. And then his second card is a Command Presence. I also heal from Stunned and draw two cards: another Stealth, but also Encore [a Bard card from Heroes of the Sword Coast], which does 2 damage. Jay then takes his turn and plays all three of his cards, nominating me to draw a card and play a card with Command Presence. I play Encore, and then with my Bardic Inspiration Feature it deals a total of three damage. 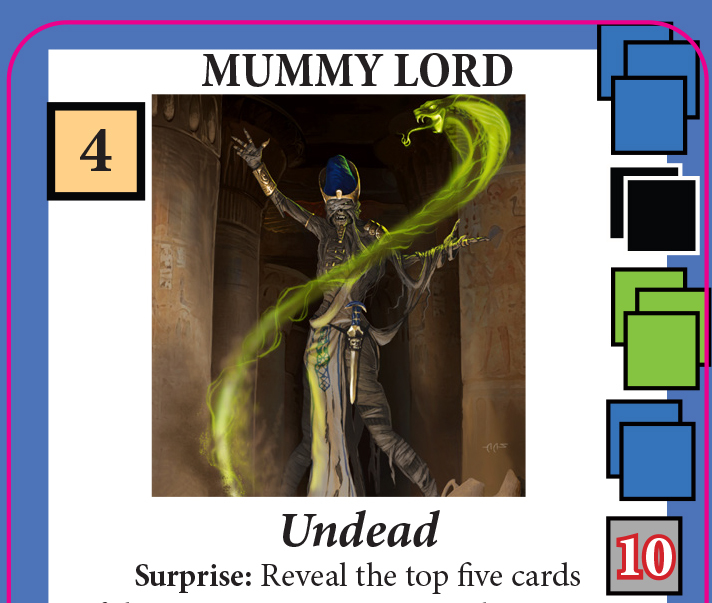 Combined with Jay’s seven damage, we generate exactly ten points of damage and defeat the Mummy Lord!!! So the next time Dragonfire sings its seductive siren song of “go ahead and quit,” don’t listen to it! The brilliance of the puzzle of this game is there is so often a path to victory, even if you might not see it at that moment. Does that mean you’ll always win? Good heavens, no! (In fact, we got wasted in the game before this one.) But the next time you think you should give up, go ahead and keep trying and see what happens. And then do it again for another game or three, and I’ll bet at least one time (if not more), you’ll pull out that incredible, save-the-day victory when you were confident it couldn’t be done. So grab that scroll, tighten your grip on your weapons and dig deep for that brilliant move you’ll all be talking about for a long time to come! I know I’ll be thinking about this Adventure for years. 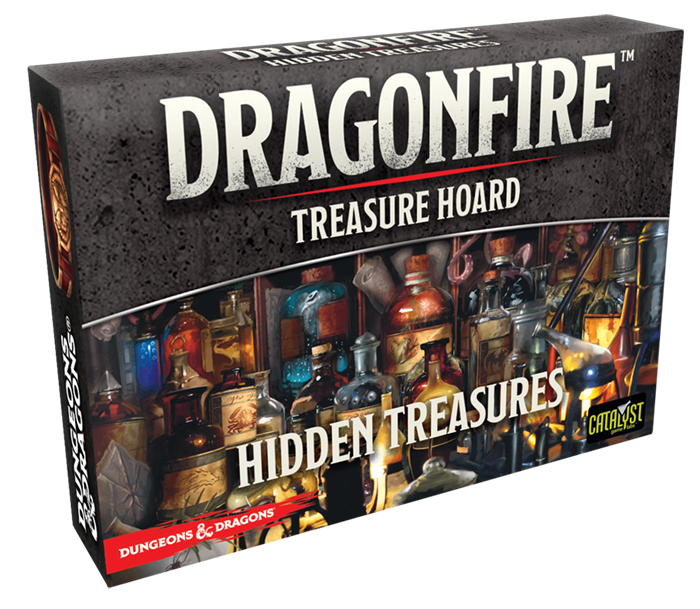 The great team at Geek & Sundry published a wonderful How To Play: Dragonfire video. A heartfelt thanks to them. Feel free to cheek out Geek & Sundry (if you’ve not already done so), and spread this video! 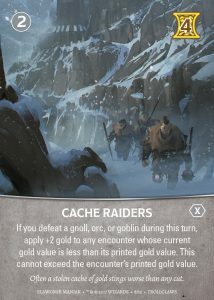 What’s In An Adventure Pack? Many years ago, I had an experience of watching a game designer have a cool new thing for his game line show up, and he shrugged as though it was no biggy. Now don’t get me wrong. I’ve talked a lot about how this is absolutely a job of too much work for too little pay and it inevitably merges your hobby with your work and your life. And for many developers, that simply becomes too much. The fun of what we do is lost in the weeds of so much minutia and emails and playtesting. And so it can be pretty difficult to maintain the perspective that despite all of that, we get to make cool stuff! As such, when something new arrives for a line I’m working on, especially when the last six months has kicked me more than almost any time previously, my reaction is a good indication of whether this is still something I should be doing or if I’m approaching burn out. Holding the two first Adventure Packs in my hands a few weeks back…yeah, felt so good. Of course, the developer part of me had to take it apart and carefully go over it piece by piece and find one or two niggles that we need to improve. But I was just so…excited. Almost giddy. Yup…still good to go! Some of you already have the first Adventure Pack (and depending on whether your store jumped onto the Launch Kit you might even have the second). 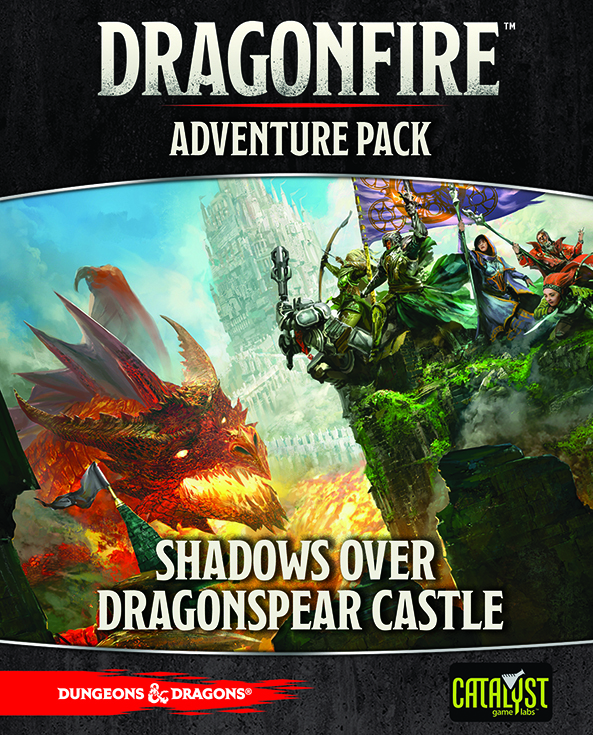 But as it’s just becoming available this month for most players, thought I’d dive into Adventure Pack: Shadows Over Dragonspear Castle, a spread of which is shown above (D&D tabletop RPG books and map of the Sword Coast not included). I don’t want to give everything away, of course, but lets break that down with a little more details. 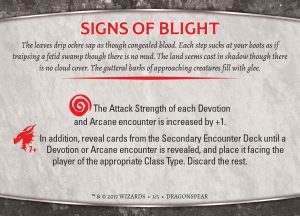 Encounters: A slew of cool new Encounters will meet your party, from Black Pudding to Blink Dog, Spirit Naga to a slew of Kobolds. 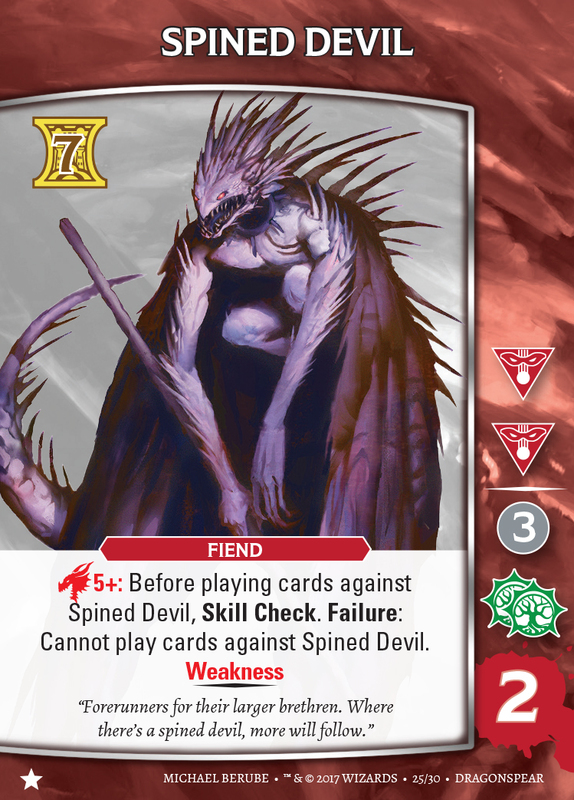 Several devils also make their appearance—Bone Devil, Spined Devil, and more—as the stars of this Adventure. 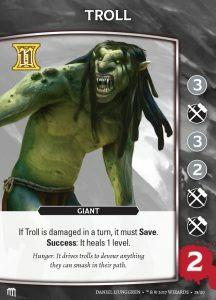 We also introduce a new keyword for Locations: “Trap.” Some of these cards are unique to this set. 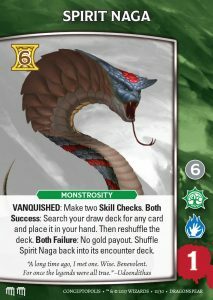 An “X” icon on a card indicates that it’s only to be used either in the set where it publishes (i.e. in this instance, Dragonspear), or when an Adventure calls for it. But most of them can be used freely, as indicated; i.e. 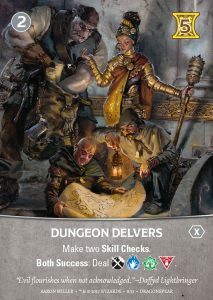 when you’re using Dungeon Environment Decks, you can add these cards to your cards from the base game. 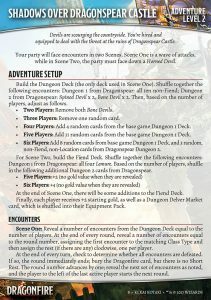 Market Cards: Every Adventure Pack will have a card unique to that Adventure; as described above, they include an X. For Dragonspear, that’s Dungeon Delver. We also introduce an additional new card, Hellish Rebuke, that can be used anytime a Warlock is in the party. Finally, because everyone will endlessly need the replenishment, additional Basic cards are included (in this instance, the Cantrip), with alternate art. Magic Items: This includes a few repeats—making sure your Magic Item Decks are robust enough for all the draws you’ll be taking as you play more Adventures—as well as several brand new cards, like the Oil of Blessings and Oil of Proficiency. 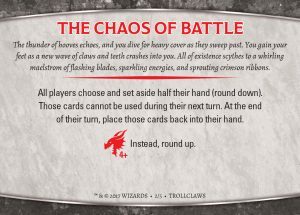 Dragonfire Cards: These are so much fun to create and to play with. 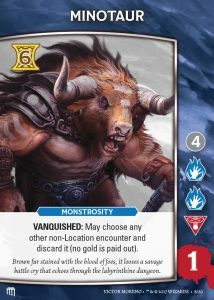 Five brand new cards bring new challenges and excitement. We also introduce the concept of the Dragonfire Milestone card. 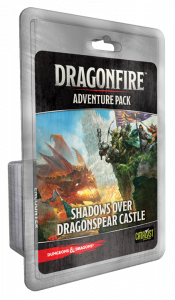 After players complete Shadows Over Dragonspear Castle, one Dragonfire card must be included in all future games you play. I won’t show which one it is as it helps to evoke the flavor of this Adventure in future game play and don’t want to give anything away. You’ll just have to play it and find out! Character Screens: The two new Character screens for Dragonspear are a Lightfoot Halfing Warlock and a Moon Elf Warlock. Stickers: The three sheets of stickers provide additional copies of the most important Fearures for your Warlock, while we also introduce the concept of a Trophy sticker. 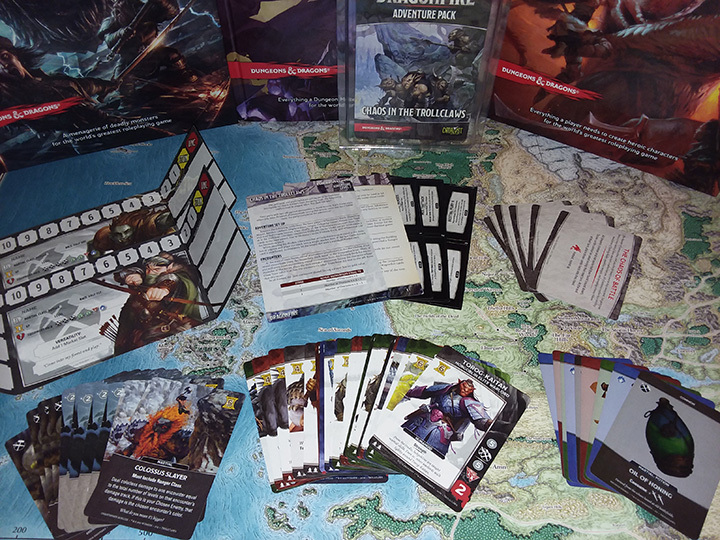 Adventure and Rulesheet: Every Adventure Pack, of course, includes a brand-new Adventure, customized to take full advantage of the Pack’s contents. 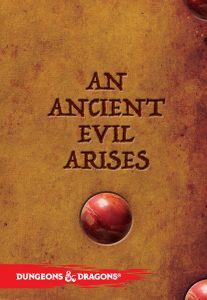 The Rulesheet, then, provides additional clarifications, as well as new fiction that ties back into the An Ancient Evil Arises campaign from the base game. I won’t go into any more details than that, as I don’t want to spoil anything for you. Most months in the coming year will include one of these great Adventure Packs. Grab one and see how much more excitement you can add to your adventuring! Catalyst Game Labs is pleased to attend the inaugural Pax Unplugged! The action begins in just under three days in Philadelphia, running from November 17th to the 19th. We’ll have our usually fantastic BattleTech and Shadowrun games for sale, including our latest releases. 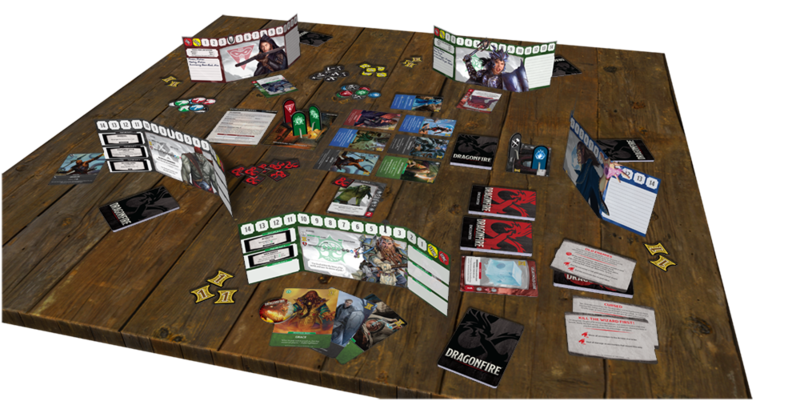 We’ll have many of our other tabletop games as well, including Jarl, Wrath of Dragons, Bravest Warriors, Valiant: The Deckbuilding Game and Master of Orion: Conquest. In addition, we’ll have a bevy of demos running for our newest release, Dragonfire–you’ll be able to purchase it there as well! 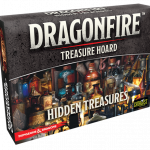 Our great friends over at The Dice Tower have just posted a wonderful overview and review of Dragonfire! 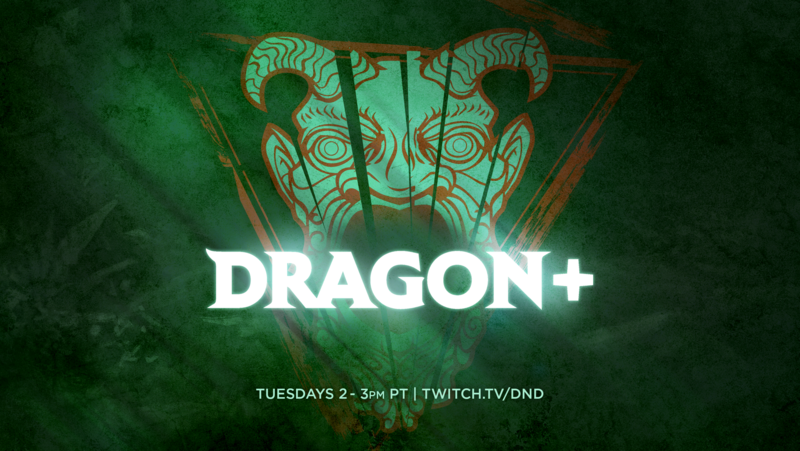 Additionally, to further celebrate the Street Date of Dragonfire tomorrow on store shelves, I’ll be on Dragon+ Livestream today from 2-3pm PT playing a game. Check it out! 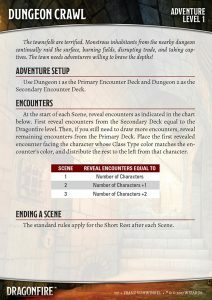 In my Encounter Decks: Master List Google sheets I’ve reached 288 encounters spread across the base game, four Adventure Packs, and the first Campaign Box. Now in reality, that’s really only, say, 220 or so unique encounters, since every deck include multiples of the same card. For example, in the Dungeon 1 Deck from the base game, there are twenty cards, but three of them are repeats, meaning only seventeen unique ones. But however you slice it, that’s a lot of encounters…and it only covers the first five months of releases! Ha! It’s a fascinating psychological truism that you can simply change the art on a card, with very few other tweaks, and it feels different. Now ultimately, I would consider that sort of development dishonest if it was done continually. But the strength of new art with a new name—even if nothing else really changes beyond slight tweaks to a damage track—is recognized and used adroitly in development all the time. Take a look at the Minotaur and Centaur. They’re the same Arcane-type of encounter, and their damage tracks are very similar. Sure, there’s different abilities on each. 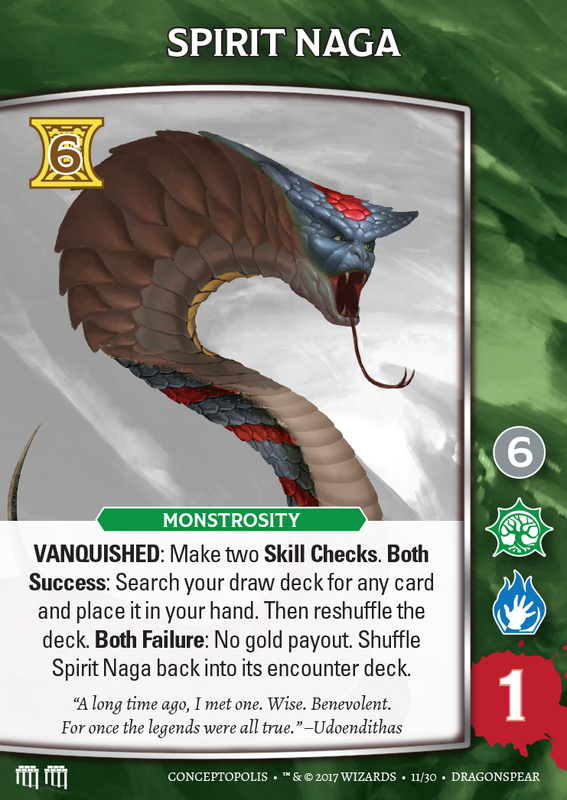 But even if both of them had no abilities, with the different art and just small tweaks to the damage track (as noted below) the cards feel different. This almost always occurs with the addition of new art, so it’s not often it is done by itself. But with five different elements to play with (i.e. 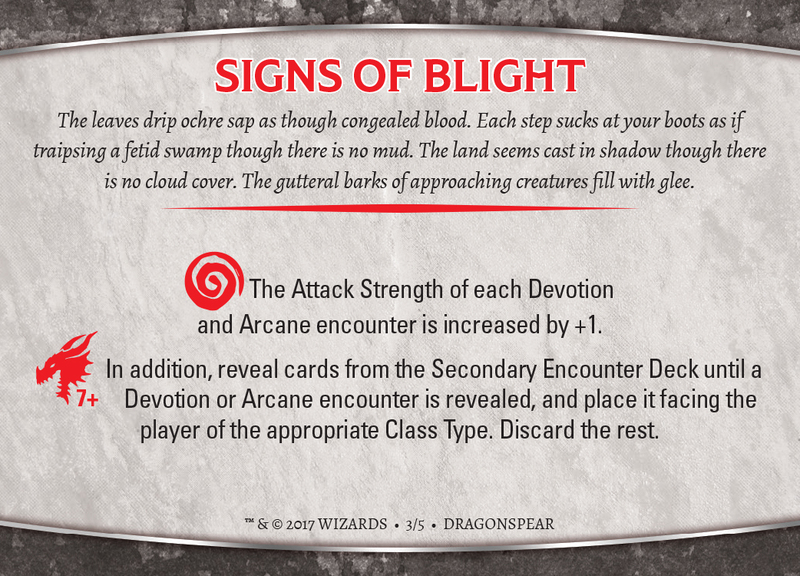 the four colored damage icons and colorless), along with eight different levels on a card, the range is very extensive. There are plenty of times, though, when I’ve deliberately mirrored some encounters in different encounter sets. For example, in Adventures: Sea of Swords, I introduced a Difficulty 2 encounter, Harpy Flock, with tokens. Then, in the first Campaign Box, I introduced a Difficulty 1 encounter, a solo Harpy. Since the two are nearly identical for the Creative, just one a flock of the other, the damage tracks are nearly identical. In other instances, such as the current encounters I’m working on, I received permission from Wizards of the Coast to develop a few additional fomorians in the Creative for Fomorian encounters. While they don’t receive the nearly identical damage track as the Harpy variant situation above, they’re still all Fomorians, so I started with the basic Fomorian from the base game, and then tweaked adjustments to create the feel of the new encounter I was hoping for. Elemental encounters, and their Myrmidon cousins, are another example of creatures that are very similar in overall potential—even if the subcomponents are unique—that they bear striking resemblance to each other, even if the exact colors are different. All of those are a magnificent tool box that allows for an incredibly diverse set of encounters. While you always want to be careful how often you introduce brand new abilities, it’s going to happen. Especially when you’re trying to create a specific feel for a given set of cards. But of course, there’s myriad ways to do that. The first and easiest is simply text directly on the card; i.e. it applies to that card only and isn’t a universal addition. This usually comes in two forms. First, when you’re attempting to mimic the Creative of a given creature of the tabletop Monster Manual. For example, the Spirit Naga in Shadows Over Dragonspear Castle is generally a good creature, and you can walk away with cool stuff. But it often re-vivifies at a later time. Then you have a new addition that builds off existing rules, but introduces a new element to that existing rule. 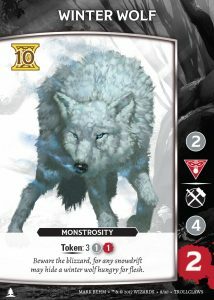 For example, the Winter Wolf from Chaos in the Trollclaws introduces a new Tripwire Trait in tokens. Then you have something completely new, but that will be universally applied. That’s actually not happening for the first few expansions, so I won’t dive into those details for a while. Just as in my last post, I discussed that I’m just scratching the surface of all the different Adventures that can be created, despite that crazy amount of encounters coming, you’ll find fresh encounters and puzzles that’ll keep you excited and challenged for a long time to come. As I mentioned several blogs back, while creating Dragonfire we took to heart many comments from Crossfire players. And one of the bigger requests was “it needs more Missions (Adventures)!” The base Crossfire game only had three. We knew from the get go that we needed to go above that. Well above that. What’s more, we needed to ensure a good, steady supply of future adventures. Now don’t get me wrong, the standard Dungeon Crawl is very enjoyable. 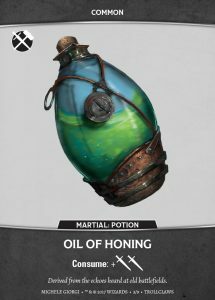 Especially as you rotate through various Encounter Decks and your characters advance with abilities via Features and Magic Items. I’ve played well over fifty Dungeon Crawl games in the last six months, and I still would sit and play it at any time. 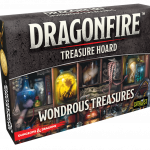 That being said, more Adventures is not only enjoyable, but is simply a must to ensure the type of re-playability we felt Dragonfire should have right in the box. With that in mind, there are seven Adventures in the base game, broken up across multiple Adventure Levels; i.e. difficulties of play. 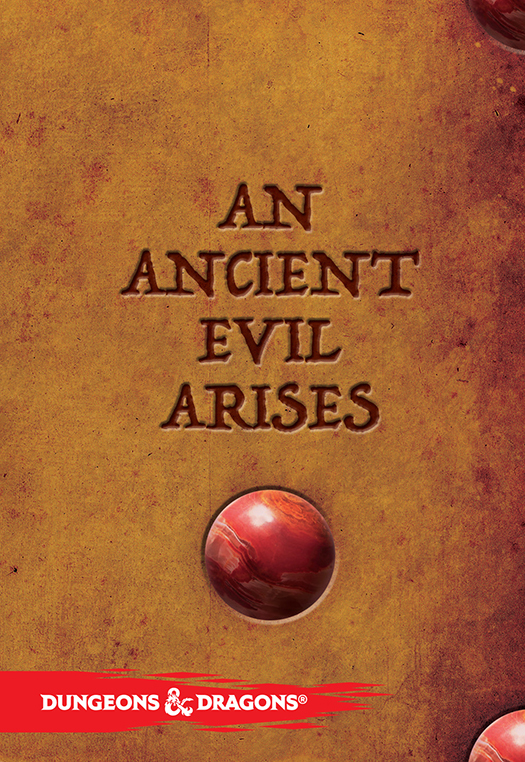 What’s more, we even have An Ancient Evil Arises Campaign Companion booklet. You read the fiction on page one, then you play the first Adventure, then you read the fiction on the next page, which moves the overall story forward. For example, if you look at the opening paragraph on The Wastes of Ancient Empire, you’ll note it places you in the Dessarin Valley—a hundred plus miles Northeast of Waterdeep—with ties back to that city. After the small intro, red text points you to the Companion. Then the fiction in the Companion fully fleshes that Adventure out: Why are you there? What do you find? What moves you onto the next Adventure? And so on. 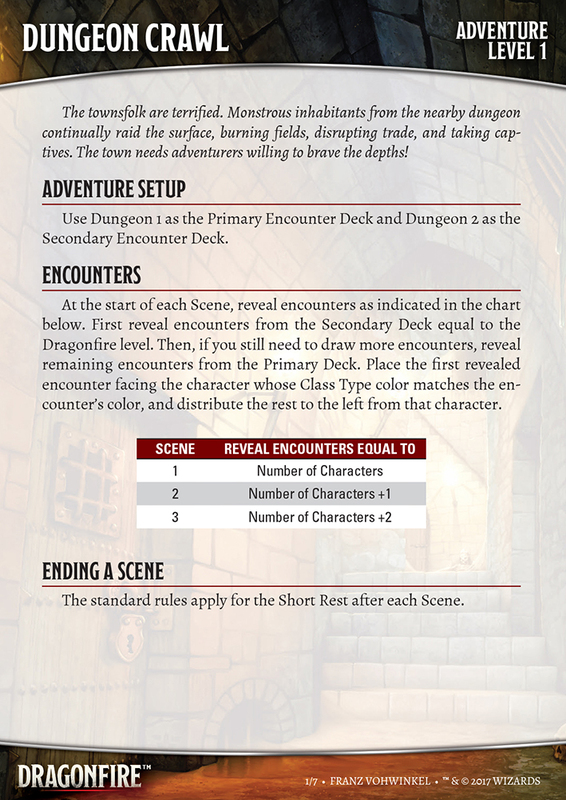 What’s more, in future Adventures in that campaign, you will find text that stops you right in the middle of the game as opportunities are given in the booklet for you to take different paths. And how your party chooses will affect the outcome. Again, this is Dungeons & Dragons. And despite the myriad ways to now play in that universe, the beating heart of the experience is still the tabletop RPG. And we felt folding that experience into the campaign and providing choices to players—within the limitations a non-RPG game provides—was paramount. Now let me be clear. You don’t have to play the campaign to play the Adventures. 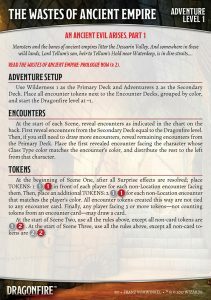 If you just want to play and experience an Adventure because it looks good, then simply ignore the red text on the cards and don’t open the booklet. Though your Party Level better be up to the Adventure Level, or you might be in for a very rude awakening as the game and its monsters hammer you hard. Remember I said there’d be ongoing support for the game? The first two Adventure Packs—Shadows Over Dragonspear Castle and Chaos in the Trollclaws—are already at the printer. 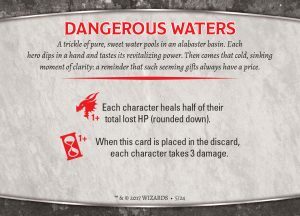 Each will come with a fifty-five-card deck of thirty more encounters, nine magic Items, and twelve market cards, along with eighteen stickers, two Character screens, a rule sheet and of course, an all-important new Adventure. 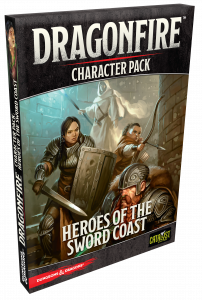 And the third Adventure Pack, Sea of Swords, is about to head to Wizards of the Coast for approval. In that Adventure, you’re on a ship, fighting boarding monsters and fending off an attacking pirate ship! The flexibility of this game system for a myriad different Adventures is still wonderfully amazing. I’m just scratching the surface of the fun experiences you’ll be diving into in the next year and beyond!